Meet the retired teachers who refuse to stop educating. Science means so much to retired teacher John Rivas that he refuses to give up educating kids on its wonders. Mr Rivas taught high school science for more than 35 years before he extinguished the flame on his classroom career in 2010. But upon retiring he found himself unable to contain his passion for the subject. “We live in an environment that is always interacting with science. Mr Rivas’s enthusiasm for science education soon led him back to the schoolyard, although this time around the children under his tutelage were much smaller. For the past four years he and his wife Edna, also a former teacher, have run an annual science exhibition at Jingili Primary School in Darwin’s northern suburbs. 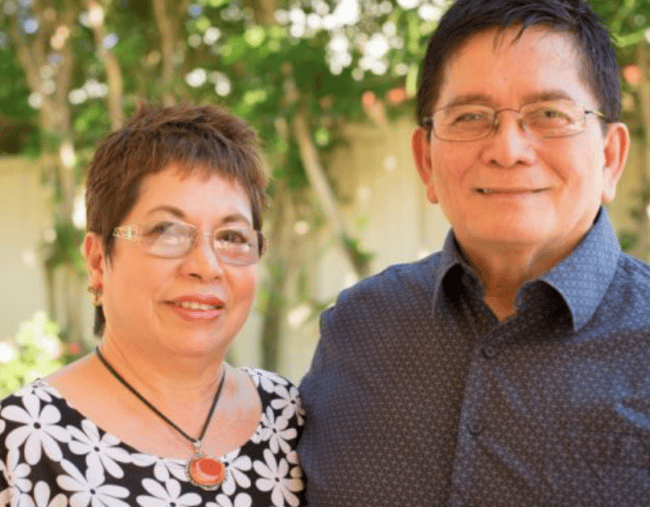 “Retirement for me does not mean it’s the end of the line for community engagement or helping promote science and science education to those who need it most — children,” Mr Rivas said. And as much as the children enjoy taking part in the science exhibitions, it is clear Mr and Mrs Rivas enjoy them too. “We’ve pledged to keep coming back for as long as our health will allow us,” he said. In true scientific fashion, Mr Rivas described himself in the way a palaeontologist might describe a fossil. “My chronological age is 71. He said staying active, challenging himself mentally and contributing to his community made him feel much younger. In some ways Mr Rivas and his wife are unlike other retirees; in other ways they share similarities. The couple are avid travellers, making regular trips to the Philippines and exploring the world. They also enjoy spending a quiet morning at home with their children and grandchildren, or pottering about the garden on a warm tropical afternoon. Where they differ is how much they give back to the community they call home. Mr Rivas said every retiree deserved to take time for themselves as reward for a lifetime of work. And while he begrudged nobody for doing so, he said he hoped his and his wife’s efforts might serve as some form of inspiration to other seniors. “It’s fun to travel but when you come home, re-engage in the community and put something back in. “Give even the littlest bit of service to whatever sector of the community you would like to serve, but serve it with gusto, serve it with passion and serve it with dedication and commitment.